Homemade soups tend to hold up well in the freezer because you don’t have to worry about maintaining the texture of the ingredients. 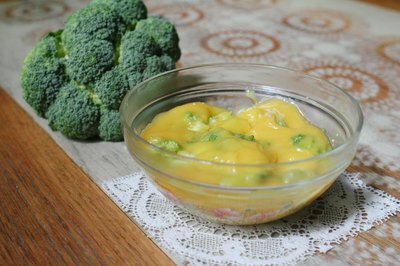 Broccoli and cheese soup, however, is actually one of the more difficult soups to freeze because of its creamy base, though any problems with separation can be remedied at the reheating stage. When you freeze items that contain dairy products, they can separate into watery layers, but if you package and thaw this soup correctly, it can withstand the freezing process. 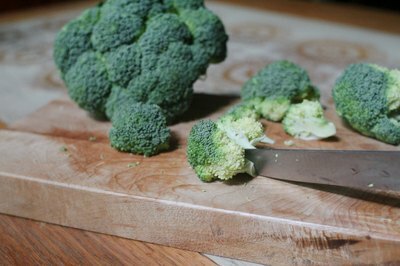 Prepare your broccoli and cheese soup as directed in your recipe. Let the finished soup sit undisturbed until it cools to room temperature. Pour the cooled soup into one large, airtight freezer storage container or several smaller containers. Stop pouring the soup once it reaches approximately 1/2 inch from the top of the container. Place the containers into your freezer. Store them in the freezer for a maximum of two months. 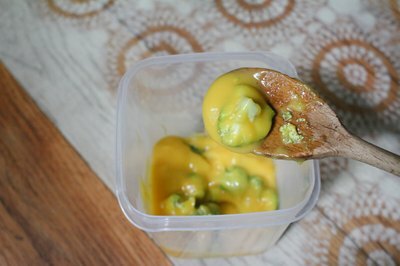 If you want to save room in your freezer, pour the cooled broccoli and cheese soup into freezer storage bags and lay them flat. 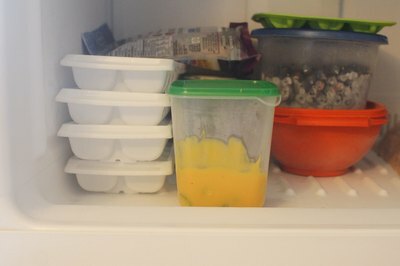 Transfer the frozen soup to your refrigerator when you’re ready to use it, then let it thaw completely. Pour the thawed soup into a large saucepan on your stove. Set your stove to “medium” heat. Whisk the soup approximately every five minutes until it is completely heated through, about 20 minutes total. Stir in fresh cheese or extra salt and pepper after you thaw the soup. Since freezing may make the soup lose some of its flavor, fresh ingredients will ensure it is not bland. Never freeze broccoli and cheese soup while it is hot because the sudden change in temperature can cause excess moisture to build up in the container and make the soup freeze unevenly. Freezing fresh raw broccoli is the optimal method to preserve the flavor, texture and color of this nutritious vegetable.